Background/Info: German gothic formation Shallow Graves previously released an album (cf. “Smoke Screen For Your Broken Dream”) on Echozone (2013). The most famous member from the duo is Christian Roßbach who was previously involved in bands like Chassalla, Madre Del Vizio, Moribund Thirteen A.D. ao. The band now delivers their second full length released in Brazil on Wave Records. 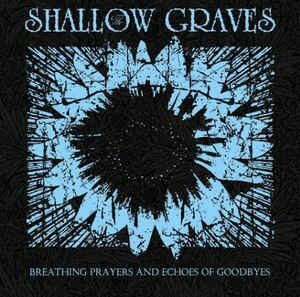 Content: Shallow Graves sounds like good-old gothic music. The main characteristic and strength of the composition is the typical wave-like, mewing guitar playing. No doubt about it, it will evoke some good-old souvenirs bringing us back in the dark 80s spirit. A few cuts are empowered by some rock elements, but globally speaking it all remains very dark and new-wave like. Some softer and melancholic pieces can be noticed as well. + + + : If you’re into traditional and old-styled gothic music this album is definitely something for you! Shallow Graves doesn’t innovate, but simply recreates the dark and desperate new-wave spirit from the late 80s and 90s productions. Speaking for myself I prefer the somewhat harder tracks, which have been masterly carried by screaming guitar parts. “Shadows Begone” is a kicking song in the genre, but I also have to mention to beautiful and totally melancholic-minded “The Cage”. 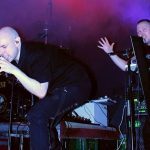 – – – : I’m afraid the gothic community is not exactly waiting for Shallow Graves, which is rather emulating a good-old sound formula instead of adding anything new to this genre. Don’t get me wrong, it’s quite pleasant, but predictable after a while. Conclusion: Shallow Graves sounds as dark as their name. The work is totally devoted to the darkest hours of new-wave music. Best songs: “Shadows Begone”, “The Cage”, “Light Blinds”.